and his Open Society Foundations including avaaz.org of the Soros-funded Moveon.org; Save the Children, and Médicins Sans Frontiéres (MSF) which charters a Mediterranean ship called Aquarius. The move, according to observers, was the latest development in a crackdown on free expression and liberal values under Prime Minister Viktor Orban, who has embraced President Trump and vociferously denounced Mr. Soros, a billionaire who is a frequent target of attacks by the right-wing news media in both the United States and Europe. The school, the Central European University, opened in Mr. Soros’s native Budapest in 1991, not long after the fall of communism and the start of Hungary’s uneven transition to democracy. The school is known as a center for research in the social sciences, with programs led by internationally prominent educators. The university has also given a platform to dissident voices, particularly in the period since Mr. Orban, who helped popularize the term “illiberal democracy,” came to power in 2010. Proponents of illiberal democracy place majority rule over civil liberties and minority rights, and they say that financiers like Mr. Soros are part of an elite capitalist class that puts cosmopolitan values over national interests. While one should not expect more from a newspaper whose largest shareholder is an alleged member of the a Mexican drug cartel (see DEA: ‘Yes,’ Mexican Billionaire Carlos Slim Is Linked to Drugs), it is interesting that the Orban government has been a strong opponent to the “open immigration” policy, a policy that Darth Soros’ “Open Society” organizations would certainly philosophically support. In February 2016, Disobedient Media published research indicating that multiple ships operating in the fleet mentioned by Frontex are sponsored by NGO groups with financial ties to organizations run by George Soros and donors to Hillary Clinton. Reports have also emerged citing a study by counter-extremism group Quilliam which states that ISIS now controls the human trafficking scene in North Africa and is actively recruiting from the migrant population. In addition to acting as de facto accomplices of human traffickers, the NGO’s criticized by Frontex may also be contributing to the worsening terror situation in Europe though their actions. If these allegations are true, then it will not be the first time Italian authorities have been confronted with an investigation into murky organizations have international connections. One need only recall the case of Liccio Gelli and Loge Propaganda Due from the 1980s, and all its murky connections to the death of Pope John-Paul I, to the Banco Ambrosiano scandals, Roberto Calvi, and so on. Nor in this respect should one forget the murder of the unfortunate Italian premier Aldo Moro, a murder with deep connections to the NATO “”Gladio” “stay behind” organizations, a scheme first concocted in the final days of World War Two by the Nazis and Fremde Heere Ost chieftan, General Reinhard Gehlen. The Italian authorities were relatively successful in their investigations of the P-2 affair, somewhat less so with the investigation of Moro’s murder. But this is an entirely different, much larger case. The networks of Soros and Assoc. extend far and wide, and while Italy should, by all means, conduct a thorough investigation of the smuggling fleets, it would be wise to call for an international investigation of Darth Soros within the U.N. Security council and world court, where it will find ready and sympathetic ears with Russia and China, and force the issue to a veto or abstention by France, the United Kingdom, the USA, or all three. And in the meantime, the Italian security services (AISI and AISE) would benefit from coordinating with their counterparts in Hungary, Macedonia, and Russia. International extent, after all, requires international coordination. A few days ago I blogged about the power and influence of so-called “non governmental organizations,” and recalled the example from the 1950s, the US House of Representatives’ Reece Committee, calling such an investigation the “Philippe le Bel” moment of history. Philippe was the King of France who, so the standard narrative goes, needed money, raided the Templar Order houses and preceptories throughout France, and found… nothing. This, of course, is taken by most academic studies of the period and the event as more evidence that conspiracy theories – especially this one – are simply the plaything of some not-very-serious people. I take it exactly in the opposite way: finding nothing in a coordinated raid which has been prepared in great secrecy and executed under sealed orders throughout all of medieval France should raise the suspicion meter, and for most ordinary individuals who have not been lobotomized by the modern American quackademy, this is the case. Finding nothing indicates a pre-planned and coordinated response to the King’s actions. And that meant… moles. It’s of paramount importance that Canada and other nations cut off foreign funding to civil society groups and foundations which operate within their borders. These foundations and organizations represent outside forces which have ulterior motives and agendas which may not always, if ever, be aligned with the needs of the people. One such foreign “philanthropic” organization is the George Soros funded Open Society Foundation. This foundations sole purpose is the promotion and expansion of the liberal-left international agenda meant to reduce national sovereignty, fund and support massive migration, such as is taking place in Europe, and the promote the mandate of open borders. 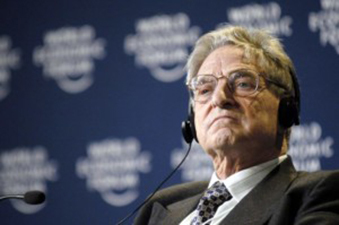 Soros and his foundations have provided the majority of funding for liberal-left social justice movements which have eroded national identity, encouraged abortion and divorce, and promote extremist environmentalism and taxation, such as the carbon tax scams which are being implemented in western nations. Along with giving billions to left-wing socialist organizations Soros also attempts to influence elections, as in the recent American election and other nations. Even within nations his foundations fund and support groups such as the Dogwood Initiative based in British Columbia. This group’s stated goal is to influence Canadian elections in federal ridings. The attempts to remove American sovereignty have been halted by the election of Donald Trump which is why Soros is now funding the protests against the Trump administration. The control which Soros has over the news media comes from his funding and support for the progressive media watchdog group called Media Matters. The term “media watchdog” should be interpreted as “ensuring the promotion of liberal-left propaganda”. The Open Society Foundation has even infiltrated the education systems of most nations by funding curriculum studies and implementing changes to the education courses. This has been happening for so long now that most western teachers are promoting the liberal-left agenda without even realizing they have been manipulated and conditioned to destroy their own culture from within. What the activities of these NGOs both domestically within various nations actually constitutes is, in my opinion, a violation of already extant laws prohibiting private individuals from conducting foreign policy. In short, Soros has painted a big target not only on himself, but on other such foundations and groups engaged in similar activities (Bohemian Grove, Bilderberg, anyone? ), and thus, perforce, any such investigations would have to include the activities and attendees at those groups. As Rene Wormser, chief council to the Reece Committee, observed decades ago, these types of groups essentially are the modern versions of the medieval military orders: they are legalized cabals operating within various nations formulating and enacting policy counter to the national interests of those nations. For some time I’ve been urging that the current political-cultural climate should be viewed “whole”, and that we’re witnessing an historical arc of unprecedented uniqueness. We are, I’ve been urging, in one of those periodic paradigm shifts that seems to happen about once every five hundred years, the last one being the Reformation, Counter-Reformation, the Thirty Years’ War, and the Peace of Westphalia, which basically cemented our modern laissez faire attitude to religion and the secular state. But this current change, I’ve been urging, is unlike any other in prior human history, and hence has no real precedents. It’s being driven by unprecedented technological change and development which in turn is rendering more and more human labor productivity moot, and that in turn impacts the financial system and model under which we currently operate moot. German finance minister Wolfgang Schaueble has stated that the debt growth model is over. There is no way forward, he argues, that is not a reform. Reading between the lines a bit, what Herr Schaueble is actually saying is that there is no way out of the current mess that does not involve increase in equity finance, in production, and hence, in human productivity. Last Thursday, during my News and Views from the Nefarium (Jan 26, 2017), readers might recall that I outlined my high octane speculation that perhaps Darth Soros and his various non-government foundations might be emerging as the target of first choice in the on going international “populist” revolt against Mr. Globaloney. I based this on a consideration of the emerging anti-Soros movement in Macedonia, and Hungary, and on the Russian bans on his “foundations” in Russia after the Euromaidan coup against the then government of The Ukraine and the installation of a western friendly puppet government. The article quite rightly raises – albeit in an elliptical and round-about way – the hypocrisy of the corporate controlled media, complaining of “Russian influence” over the recent American elections, while it continued to ignore the question not only of Bundeskanzlerin Angela Merkel’s attempts to influence those same elections via contributions to another such foundation (and we all know which one that is), but of the influence of foundations with their blatantly globalist agendas which espouse ideologies contrary to the national interests of the countries in which they operate. While the opposition to Darth Soros in Canada seems confined for the moment to the opposition, I rather suspect that as the consequences of globaloney continue to impact that nation, that such calls will intensify. What really caught my attention, however, that the first paragraph’s implicit suggestion that foundations as such – not simply those of Soros – are a cause for concern, and this recalled to my mind the efforts of the Reece committee in the 1950s in the United States to investigate the power and influence of foundations. The Reece committee, a successor in the Republican controlled Congress that took office on the coattails of President Dwight Eisenhower, was the successor to a committee that had been appointed by the previous Democratic Congress to investigate foundations, but whose efforts were largely sabotaged both by Republicans and Democrats refusing to fund it sufficiently. (For a more complete review of these committees, see my book, The Third Way.) What the Reece committee and its predecessor found, however, was highly suggestive, because it concluded, long before any of the Soros NGOs were on the scene, that several famous corporate foundations – Ford, Rockefeller, Carnegie and so on – were engaged in a similar ideological commitment and effort. Indeed, Rene Wormser, chief counsel to the Reece Committee, wrote a book about the results of the Committee, Foundations: Their Power and Influence, in which he described the foundations as modern equivalents to the great mediaeval crusading orders: they were tax exempt, had their own agenda, and were, in effect, extraterritorial sovereignties and “information gatekeepers” designed to create and control the mega-narratives of society. This suggests my first high octane speculation of the day: perhaps, with the increasing attention on Soros, we are witnessing the old struggle exemplified by the Reece Committee surfacing once again, and trying to finish the job it left unfinished. Of course, the foundations under investigation then were not accused of covertly funding violent activities in the hopes of counteracting elected governments, as is alleged by some to be the case for the Soros interests. If those allegations should be proven to be true or even a strong prima facie case be made that they are true, then those activities have endangered the whole edifice of foundations beyond the Soros interests, and that cannot be something those powerful families behind them will want to see, given the intertwined nature of networks among the super-rich. A major new initiative called Stop Operation Soros (SOS), a movement dedicated to stopping the evil machinations of Nazi collaborator billionaire George Soros, has taken off in Macedonia. The SOS founders called on citizens around the world to “fight against one-mindedness in the civil sector, which is devised and led by George Soros.” The movement has been set up to expose the ‘subversive activities of all of George Soros’s organizations. Hungary has also taken to steps to clamp down on Soros funded organizations by banning them from the country.